Justice Ruth Bader Ginsburg, the oldest member of the Supreme Court, says she’s got about five more years, just long enough for righteous America to vote Donald Trump out of office before she retires. Thank you, notorious RBG for understanding that leaving before that time would mean that President PulpFace von ButtDimple would be responsible for appointing another judge who has the potential to ruin America for the next 50 years. 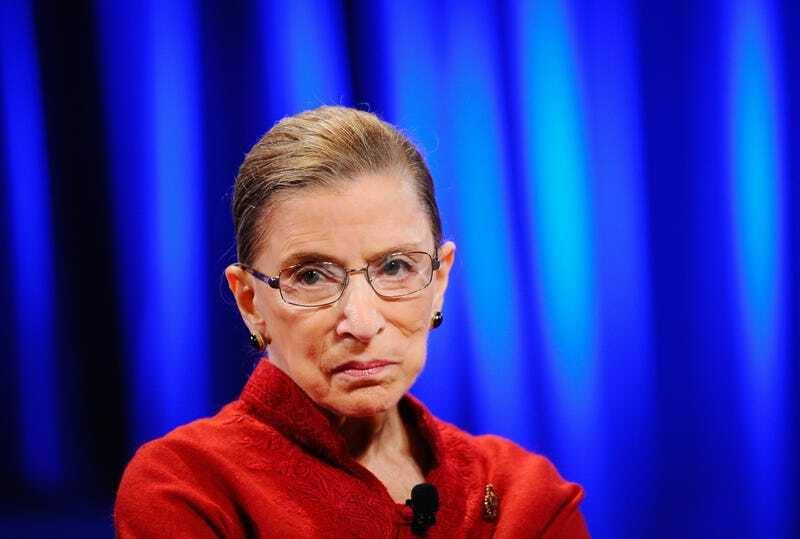 RBG also told CNN that she isn’t fond of setting term limits for members of SCOTUS.